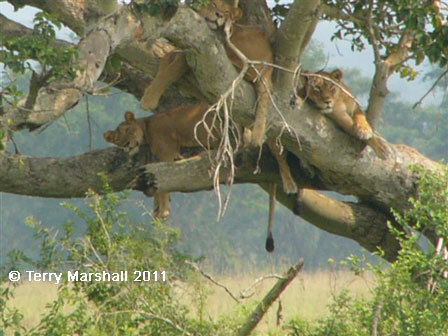 The Masai Mara is the finest wildlife reserve in Kenya and one of the most famous in all of Africa. Though quite small at just 1,500 km², the abundance of wildlife and the rolling plains and riverbank woodlands of the Mara make for great game drives. 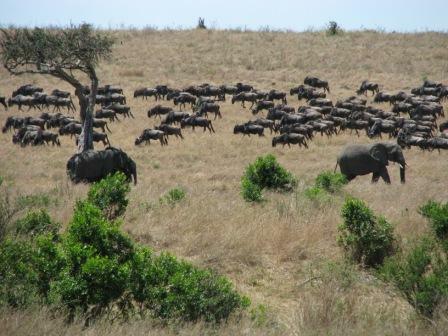 Part of the Serengeti ecosystem, it hosts the annual migration of wildebeest where immense herds head north from the Serengeti between July and October each year in search of fresh grazing lands. The huge numbers of wildebeest, zebra and gazelles means plentiful food for lions, leopards and cheetahs which can hunt in pristine wilderness. Other animals include elephant, black rhino, hyena and warthog while the Mara River is home to numerous hippos and crocodiles which prey on the game crossing the river during the Migration. The Mara isn't a national park which means the Masai people have retained their traditional way of life within the reserve, allowing visitors to see them herding cattle and learn of their culture during village visits, witnessing a wonderful harmony between people and nature. The Serengeti is the quintessential East African national park and perhaps the most famous, covering some 15,000 km² of savannah plains. The Serengeti boasts the largest concentration of plains game in Africa, with an estimated three million large animals, including some 2,500 lions. It is famous as the location of the annual migration of huge herds of wildebeest, zebras and gazelles as they travel between here and the Masai Mara in Kenya in search of fresh grazing lands, offering excellent chances to see kills by predators seeking nourishment of their own. The Ngorongoro Crater in northern Tanzania is one of the most unique and exciting wildlife reserves in Africa. Ngorongoro is actually a caldera, formed from a collapsed volcano millions of years ago, which now forms a huge natural amphitheatre with perhaps the greatest permanent concentration of wildlife in Africa. The crater's steep walls (over 600 metres high) enclose a vast space of 260 km² which includes open savannah, swamps, forests and the Lake Magadi soda lake, attracting flamingos and other water birds. Most large African animals are found in the crater (exceptions being giraffe and white rhino) and the crater's walls, balance of species and permanent water source mean they rarely leave. Of particular note are some 30 black rhino, the largest concentration left in Africa, and its famous lion population, though the 60 or so lions found there today are apparently suffering from the effects of inbreeding. 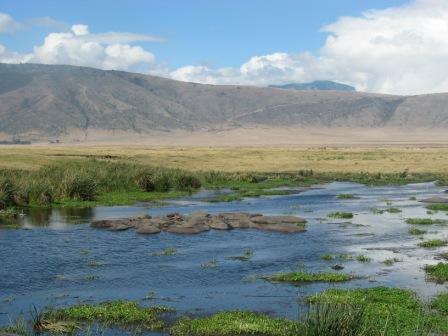 Leopards, elephants, buffalo, hippos, hyenas and various prey species also call the Ngorongoro Crater home. You may also spot Maasai tribesmen lead their cattle down the crater walls - they have grazing and watering rights in the crater. Queen Elizabeth National Park covers 2000 km² in western Uganda and is an area of extraordinary diversity in both landscape and fauna. Situated along the Kasinga Channel connecting Lakes George and Edward, the park comprises grasslands, crater lakes, tropical forests and papyrus swamps and is home to over 600 bird species and almost 100 mammals. These include the famous tree climbing lions, the Ugandan kob, sitatunga antelope, giant forest hog and topi, while boat trips along the Kasinga Channel allow for excellent bird watching as well as observing huge numbers of hippos, elephants and buffalo. 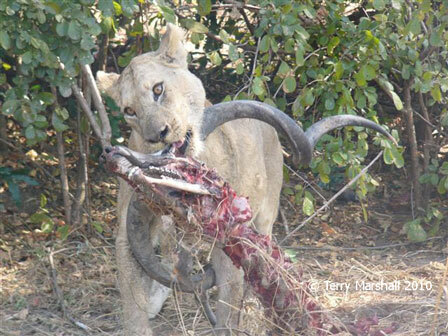 Hwange National Park is Zimbabwe's premier wildlife park covering almost 15,000 km². 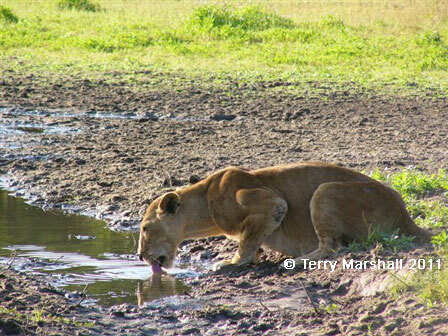 Hwange's landscape ranges from open grassland to sandy areas and hilly woodlands. 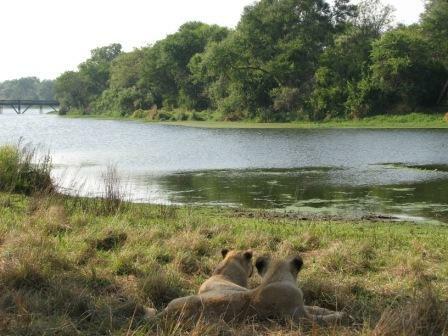 It is home to over 400 bird species and 100 animal species, including large herds of elephants and buffalo, giraffes and numerous antelope species whilst being an excellent location for viewing predators, including lion, leopard, cheetah, packs of wild dogs, African wildcat, serval and hyena. Antelope Park is located just outside the city of Gweru in central Zimbabwe. 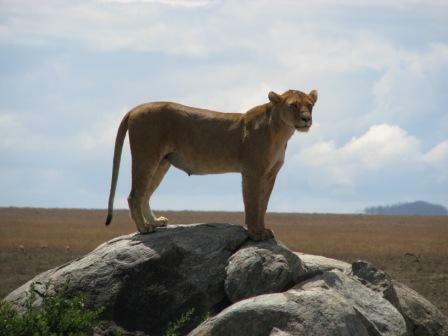 It is home to a lion breeding project and offers some truly unique wildlife experiences. Here you can walk with lion cubs (usually aged 6-12 months) and go on a night drive with older cubs in an attempt to see a kill. There are also options to view the game in the park (including various antelope species, giraffe, zebra and wildebeest) on foot, horseback, elephant back or in a vehicle as well as the opportunity to swim with elephants. 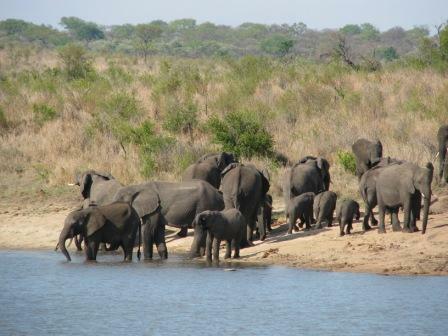 You can camp or lodge in a beautiful setting with elephants regularly walking through the campsite on their way to the water. Moremi Game Reserve is located in the north-eastern sector of the Okavango Delta and occupies almost one-third of the Delta's area. 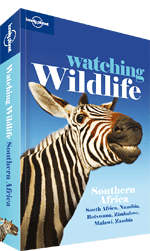 It was the first wildlife reserve to be founded by an African tribe, established by the Batswana tribe in 1963. 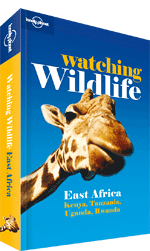 It comprises swamps, wetlands, forests and dryland and contains an enormous diversity of animal and bird life, including elephant, buffalo, giraffe, wildebeest, a variety of antelope and predators such as leopard, lion and hyena in addition to over 500 bird species. 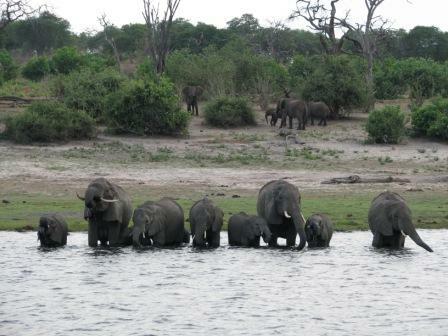 Safaris can be taken on foot or by mokoro, offering a unique and authentic wildlife experience in unspoilt wilderness. Etosha National Park is Namibia's premier wildlife sanctuary and one of the best game reserves in Africa, covering a huge 22,000 km². Its terrain is a mixture of bush and grassland centred around the huge, flat, dazzling white expanse of the Etosha Pan, a dried up former lake. Over 340 bird species and 100 mammal species are present in the park including all the major game and predators, as well as the rare and endangered black rhinoceros, black-faced impala, Hartmann�s mountain zebra and the tiny damara dik-dik. 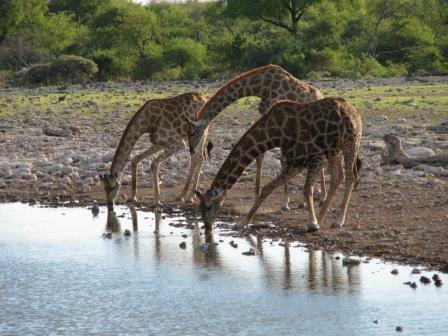 Etosha is renowned for its floodlit waterholes that allow you to view herds of animals drinking at night. Kruger National Park is one of the most famous and oldest wildlife parks in Africa. It stretches for 350 kilometres along South Africa's eastern border with Mozambique and comprises mainly savannah bushveld. The park has excellent infrastructure with campsites and lodges that allow you to sleep listening to the sounds of the animals outside. Kruger is one of the best parks for Big 5 spotting and in total boasts 147 mammal species as well as over 500 bird species and over 100 reptile species. Night game drives in Kruger gives a different perspective to the safari experience and the chance to spot nocturnal animals rarely seen in daylight. 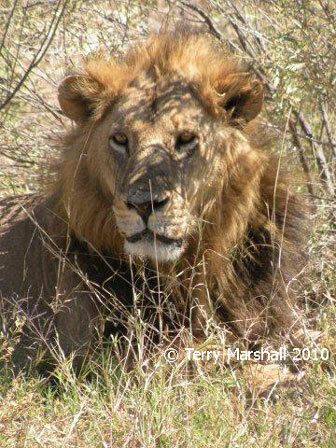 Organised group tours: Click here to see 2 tours to Kenya - Joburg which may include Lions.